Rank higher for 5-10 targeted keywords. Affordable Pricing As low as $139/mo. Grow your brand's online presence. 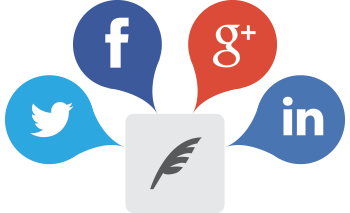 We use platforms like Facebook, Twitter, and Google to accomplish your business's social media goals. Each social platform is used differently to connect with potential customers. EZlocal builds and helps you maintain your social presence! Customers use social media to search for services in their area and share businesses they like with their friends. 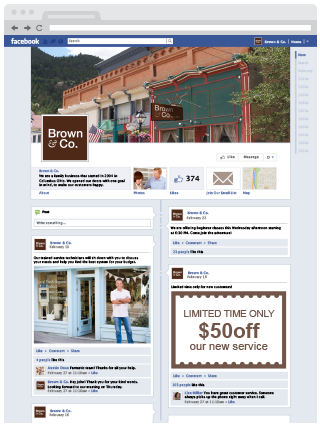 We'll create your Facebook Business Page, and automatically update it with any positive reviews you receive, photos, or special offers you want promoted. We create a new Facebook page for your business (or enhance your existing page) with images, tabs, and compelling content. We help you draw in customers with regularly posts about your business, industry, links to articles and images. Our experts will turn your Facebook posts into targeted ads! Sync your website directly to your Facebook, Twitter, and Google pages with social links. From one tab, you can publish content to multiple social sites with the push of a button. 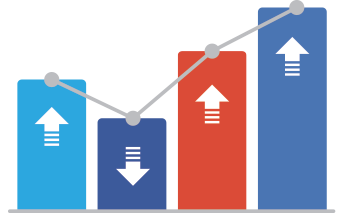 Track growth across channels from one dashboard and monitor changes in Facebook and Twitter reach. EZlocal will post to Facebook, Twitter, and Google on your behalf. We provide everything your business needs to look great on social media!